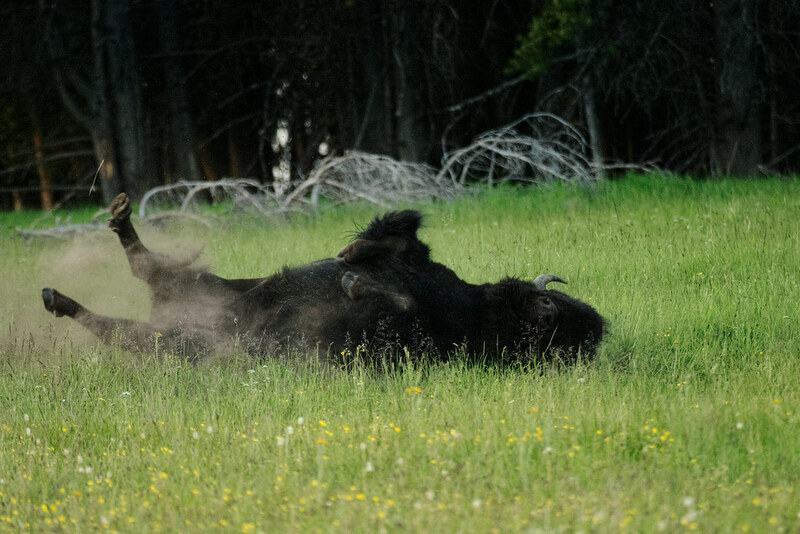 A buffalo takes a dust bath in a wallow beside the Storm Point Nature Trail in Yellowstone National Park. This entry was posted in Mammals and tagged American bison, bathing, buffalo, Storm Point Trail, wallow, Wyoming, Yellowstone National Park. Bookmark the permalink.